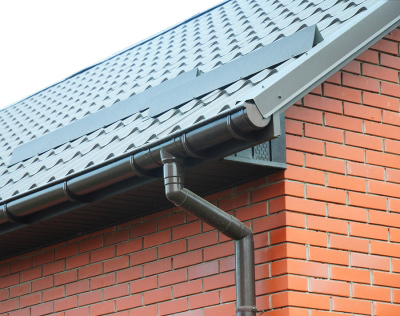 When the time comes to replace your home’s gutter system, it’s important to choose a product that will complement your property now and into the future. If you’ve decided to invest in new gutter installation for your Houston, TX home and wonder which brand to choose, then consider the many aesthetic advantages offered by Armor Tough® painted aluminum gutters. Armor Tough® gutters from Senox are aluminum gutters that feature specially formulated paint finishes that resist paint separation, have a soft and subtly textured surface and are designed to look good long-term. These rain gutters are the most comprehensive line of painted aluminum products from Senox and offer exterior durability, long-lasting beauty, stain resistance, scuff resistance, and a high-quality, factory-baked finish. Armor Tough® gutters also provide flexibility for forming, superior paint adhesion, and an attractive finish that helps the gutters blend in with the surrounding structure of the home. Finally, these gutters are backed by Senox’s 50-year paint warranty, making them a great option for new gutter installation.